The seed was planted early. Real early. Echoes of the postgame celebrations of Shoreham-Wading River’s third straight Long Island Class IV football championship were still ringing when coach Matt Millheiser pulled Xavier Arline aside to give him a message. “I want four,” he told the player. It has been almost three years since Thomas Cutinella died while playing football for Shoreham-Wading River High School in a game against Elwood/John Glenn. On Oct. 1, 2014, Cutinella collapsed on Glenn’s field. His death sent shock waves throughout Suffolk County and beyond. It starts with the lines. 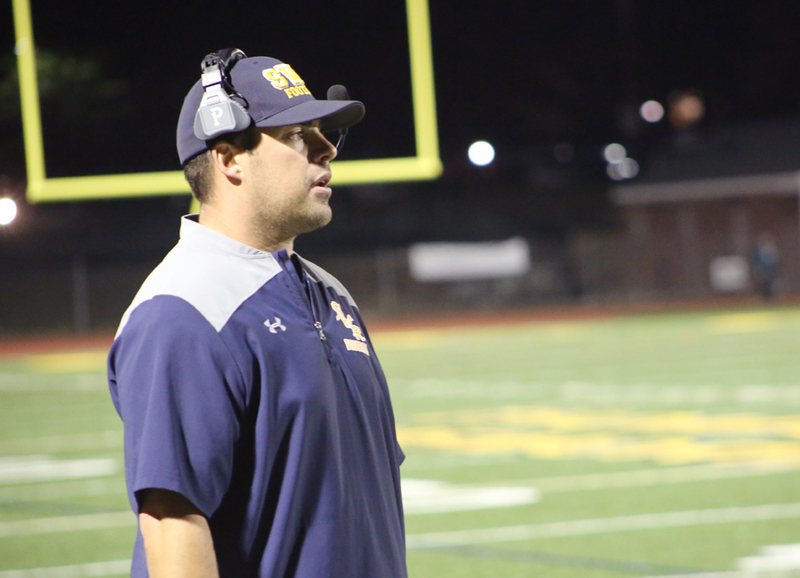 Every high school football coach, including Shoreham-Wading River’s Matt Millheiser, knows that. Football can look almost easy for a team with a strong line, and remarkably difficult for a team without one.